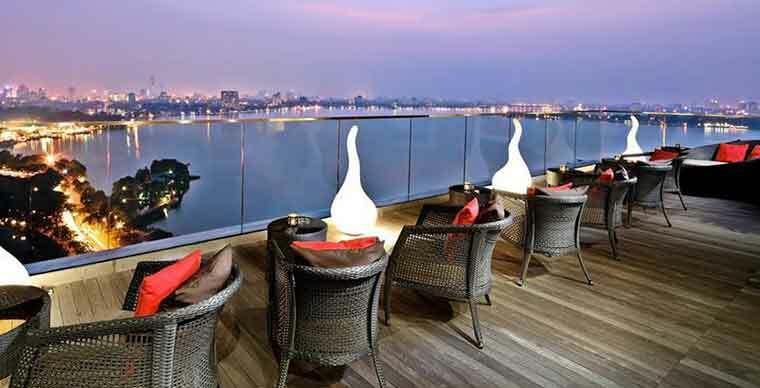 This rooftop bar is located in the 20th floor of Pan Pacific Hotel, a 5 star in Hanoi city. 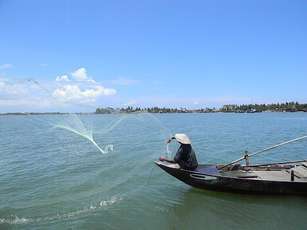 With the most expensive vision, facing the West Lake and Truc Bach Lake, Thanh Nien Road, Tran Quoc Pagoda and Red River. Come to enjoy drinking and great panorama of Hanoi city. Besides, you will feel the cool atmosphere, seeing the professional services. It is really worth for a high-class rooftop. Open time: from 4pm to middle night. 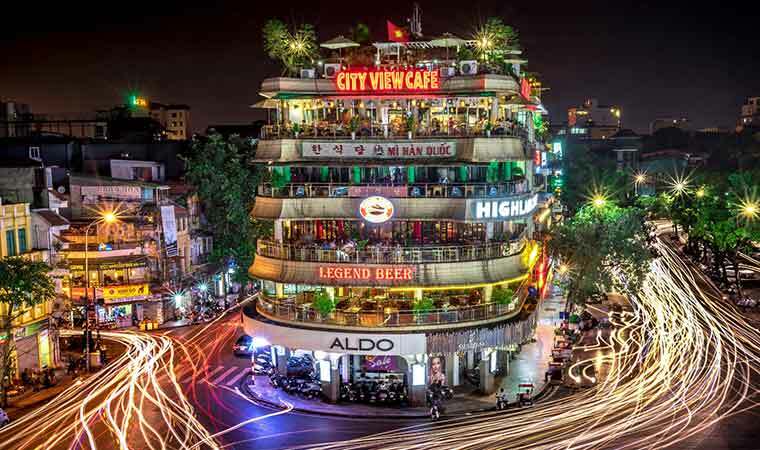 This is the highest bar in Hanoi ( 265m from the ground) with a stunning panoramic view to all the corners of the city. 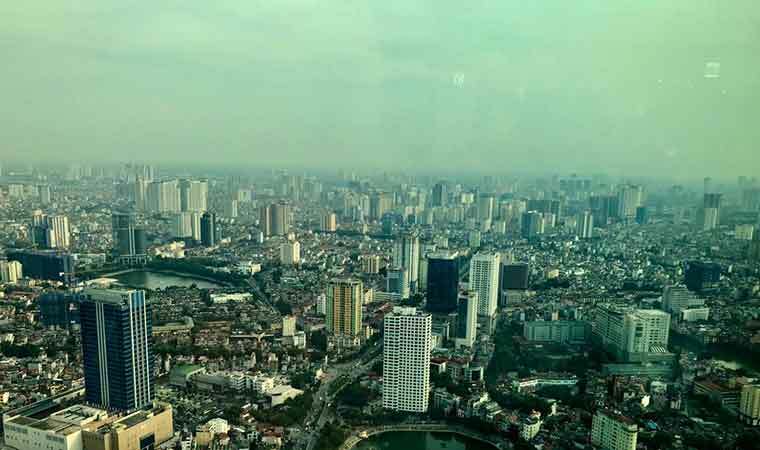 It will offer you a 360 degree views of entire Hanoi city and surroundings. To be honest, this is the best view in all bars. 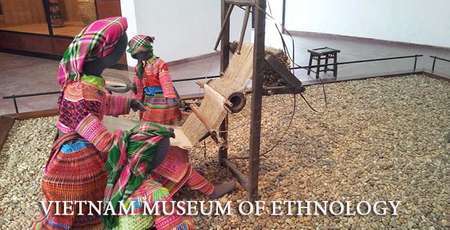 This is not only the reasons that attract you to visit. The cocktails is so tasty or you can order the premium spirits and fine wines. The restaurant is with the open kitchen will impress you. Just note that you should not wear sleeveless shirts and slippers to Top of Hanoi bar. Address: The 65th floor, Lotte Center, 54 Lieu street, Giai, Ba Dinh, Hanoi. It is not in the high floor. However, their location is the best one in Hanoi. Just facing to Hoan Kiem Lake. It will offer you a best view to the Lake and the Hanoi old quarter. You can enjoy some fast foods, traditional foods, Western or Asia foods. 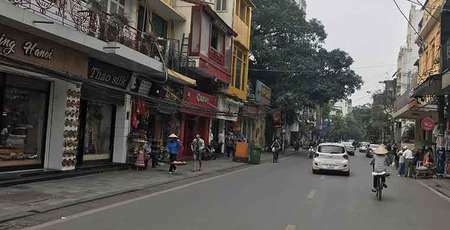 Besides, it is close to the walking streets at weekend, Hang Dao, Hang Ngang street for night market and Ta Hien street for a beer meeting place. This is also a great place for photo hunters. Address: No 7 Dinh Tien Hoang Street, Hanoi. Open time: 8.00 AM to 10.30PM. This bar is located in the 11st floor on 38 Gia Ngu street, Hanoi old quarter, another bar with so favorable location. 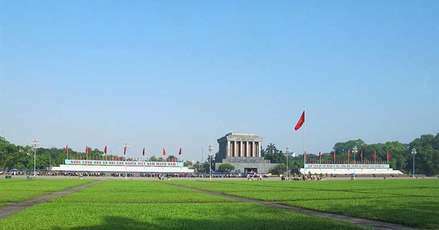 It will bring you the entire 360-degree beautiful view of Hanoi city center such as Hoan Kiem Lake, Long Bien Bridge over the Red River and the corner of small ancient city. The Skyline Bar is rated the best when the sunset falls and the streets start to light up. Address: 38 Gia Ngu Street, Hanoi city. 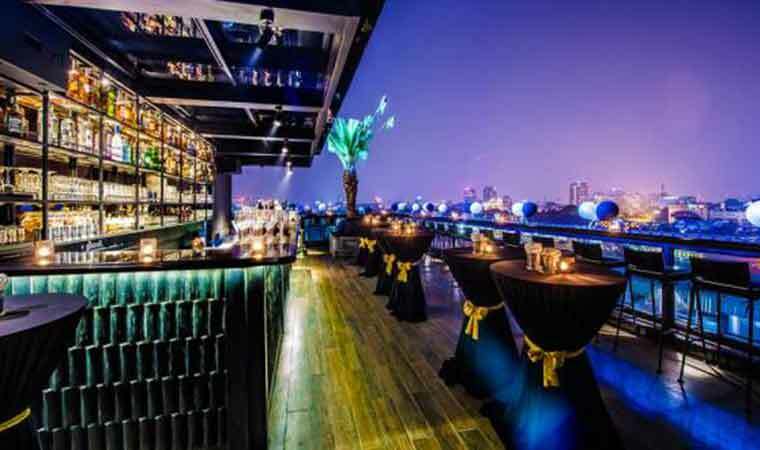 Another rooftop bar with an excellent location in the Hanoi city center. Located in to top floor of Apricot Hotel. 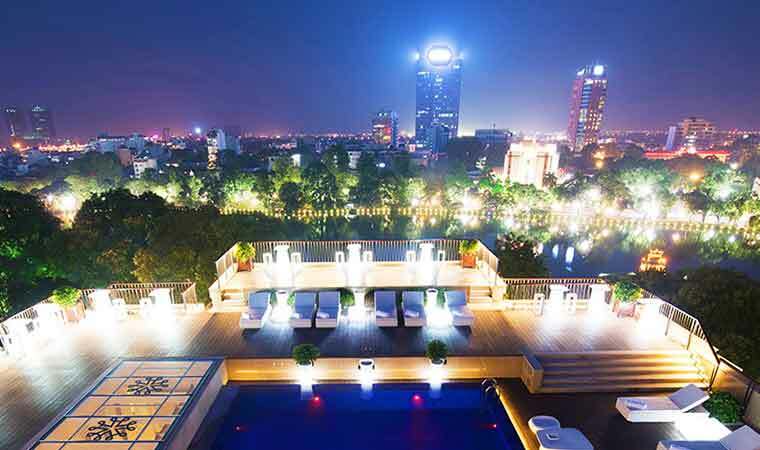 Rooftop BarOne36 is proud to bring you the stunning panoramic views of the city, Hanoi old quarter and especially the Hoan Kiem Lake where you can relax and enjoy the special cocktails. Address: Top floor of Apricot Hotel. 136 Hang Trong street, Hanoi. The bar is with a luxury and intimate space. This is one of the best spots in Hanoi city to enjoy drinking when the sunset is over Hoan Kiem Lake. The rooftop bar is high enough to enjoy the wonderful romantic scenery of the lake and close enough to see the city streets and the roofs. The great decoration with relaxing background music creates a charming elegance bar in the heart of Hanoi city. Address: 1 Cau Go Street, Hanoi. Open: 9.00 – Middle night. Located in the 13rd floor of La Siesta Diamond Hotel, Hanoi city center. This is a place to live slowly in the bustling city center. The bar is decorated with a luxury and romance style. The space stretchs far into 3 floors with different views. The 13st floor with Hoan Kiem Lake View, The 14th floor is with Lake, Red River and Chuong Duong, Long Bien Bridge. The 15th floor is with view to all the city and 5 bridges over the Red River. 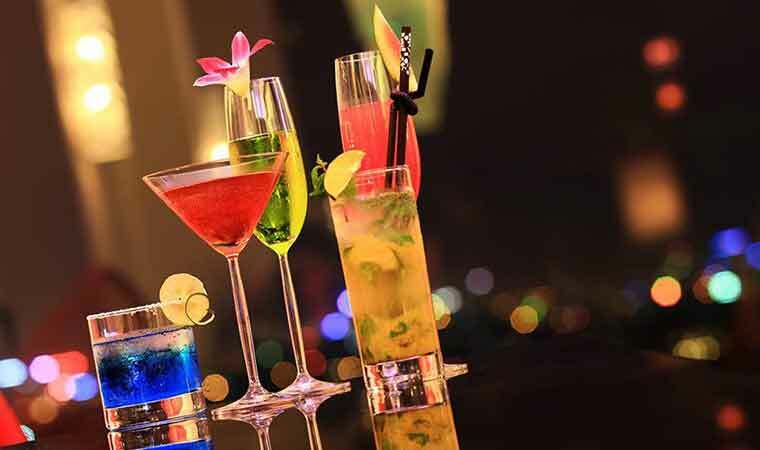 Good services, the Cocktails, drinking, foods are really good with reasonable price. Ciolo is located in the south of Hoan Kiem Lake, in the French Quarter. It has a beautiful natural scenery and it will give you the feeling that you can reach out to touch the famous historical places of the Hanoi city: Hoan Kiem Lake, Opera house, Hilton De Opera hotel. 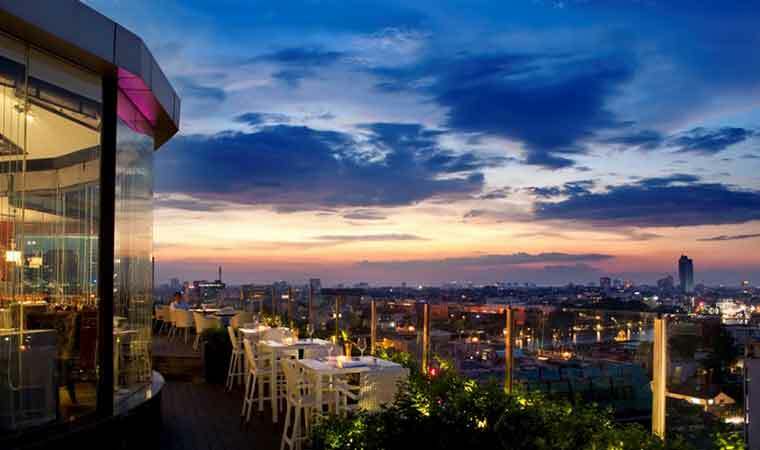 Cielo 13 skybar is a mix of classic and modern, Inspired by a famous Italian painter. Address: the 13rd Floor, Sunny building, 13 Hai Ba Trung Street. There are still many other bars in Hanoi city. 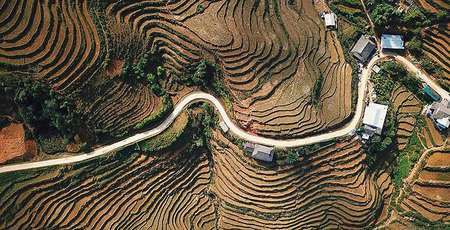 However, we selected the best ones among of them for you the enjoy the great experience to discover Hanoi. Do not miss out to try one of them when you visit Hanoi city for your impressive trip to Vietnam.